Sam's Sweets - Desserts and Pastries offers superb tasting cupcakes in a variety of flavours. We offer custom flavours and designs, just contact us and we can. discuss your vision. 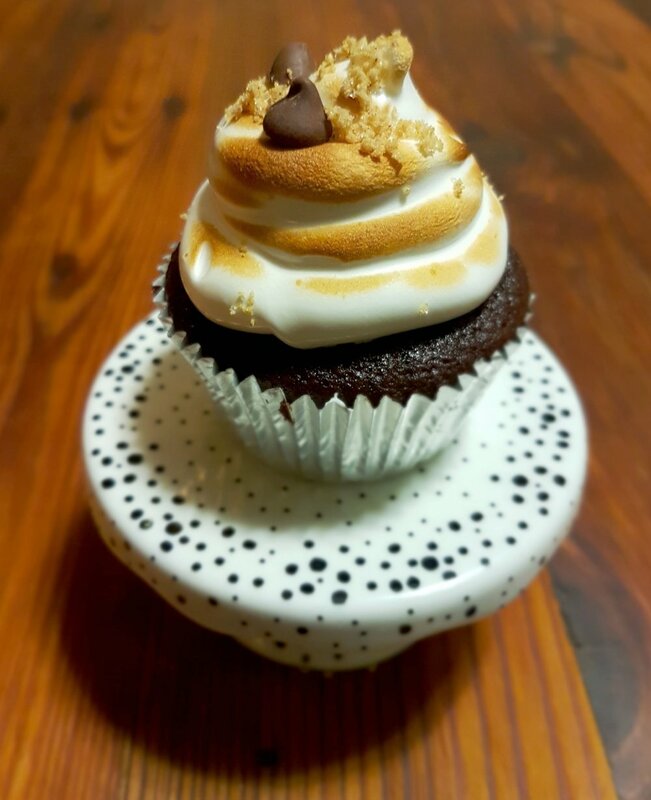 Enjoy a campfire experience with our Outdoorsy S'moresy Cupcake. Our deep dark chocolate has a special surprise inside and is mixed with chocolate chunks and a graham cracker bottom. It's topped with a scratch made marshmallow topping (gelatine free) that's toasted to perfection. Finally it's and topped off with chocolate chips and graham cracker crumbs. Feel for something warm, spicy and sweet? Try our Ginger and Chai Spiced cupcake. Our ginger cupcake is mixed with freshly ground spices including nutmeg and allspice. It's topped with a freshly made vanilla-chai buttercream that is smooth and will melt in your mouth. Get a taste of the tropics with our Coco-loco Cupcake. It's coconut overload and features our lactose free coconut cake that is topped with a smooth and creamy coconut buttercream. It's finished with a sprinkling of toasted coconut shavings.